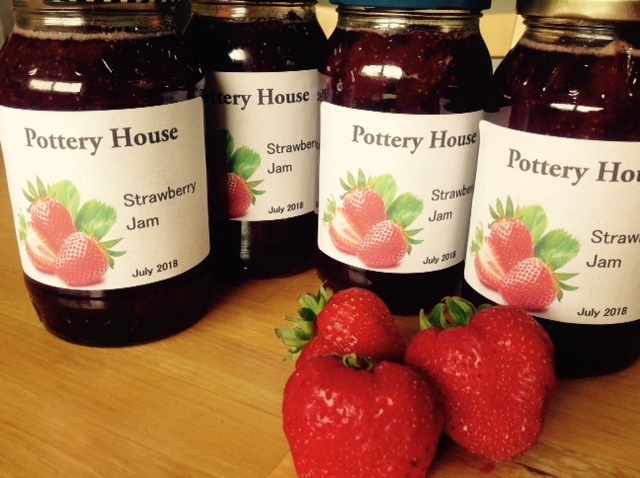 All the fruit on the allotment is ripening at once thanks to the amazing summer we're having, so almost every day there's a pot of jam bubbling away in the kitchen here at Pottery House. 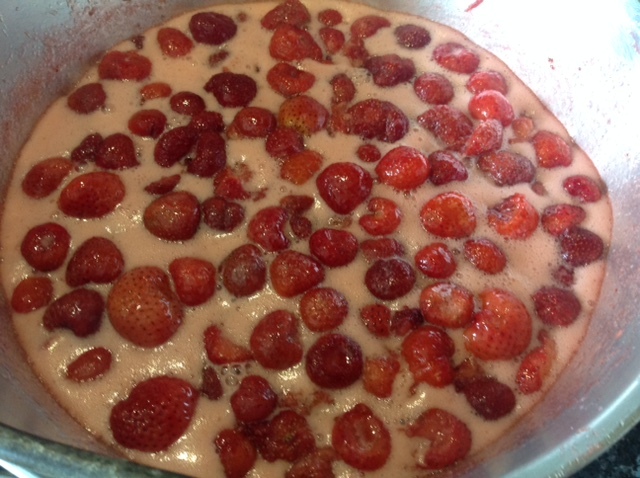 Already we've made strawberry jam, not such a good crop of these probably due to all the dry weather so the fruit didn't fatten up as much as usual, but enough jam made for breakfasts. 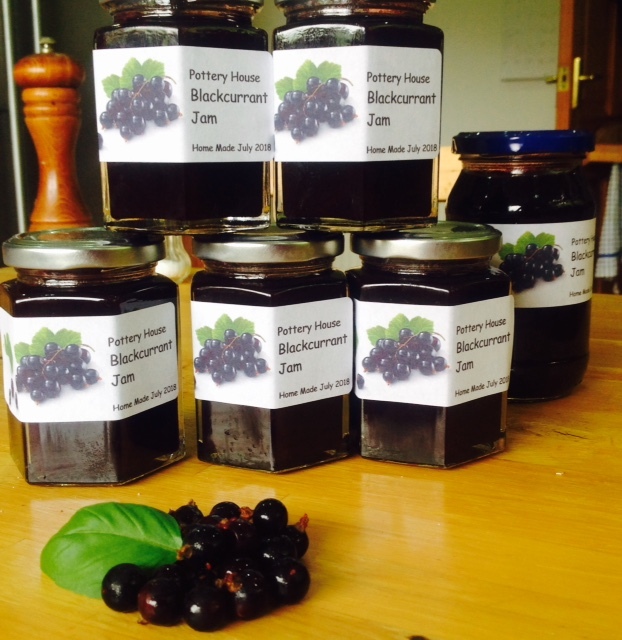 Yesterday we made my favourite, backcurrant jam, there's still lots of fruit to pick so more of that to come. And today it's the turn of the gooseberries. They've fruited so well many of the branches on the bushes are laying on the ground with the weight. As always we make a few extra jars for guests to take home, so if you're staying with us over the next few weeks ask if you don't see your favourite.